A leading authority on corporate taxation and an advocate of a more equal economy, Clausing agrees that Americans, especially those with middle and lower incomes, face stark economic challenges. But these problems do not require us to retreat from the global economy. On the contrary, she shows, an open economy overwhelmingly helps. International trade makes countries richer, raises living standards, benefits consumers, and brings nations together. Global capital mobility helps both borrowers and lenders. International business improves efficiency and fosters innovation. And immigration remains one of America's greatest strengths, as newcomers play an essential role in economic growth, innovation, and entrepreneurship. Closing the door to the benefits of an open economy would cause untold damage. 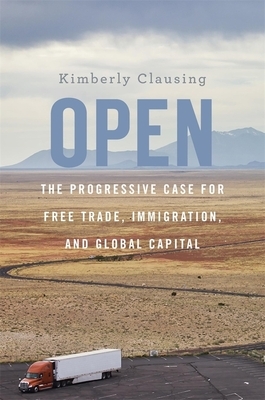 Instead, Clausing outlines a progressive agenda to manage globalization more effectively, presenting strategies to equip workers for a modern economy, improve tax policy, and establish a better partnership between labor and the business community.